And anything else you may think of! Below you will find a variety of activities you can use with your Book Buddies! A fun way for students to reflect on their time with book buddies. Each student traces and cuts out their handprint on green construction paper. On the hands, students write why they enjoy reading with their younger/older book buddy. Attach the hands to a piece of white butcher paper in the shape of a wreath. Attach a bow. This could also be used with other subjects. These are fun and easy bookmarks! To make the bookmarks you see below, I checked out the "mini" Ellison die cuts from my district media center. 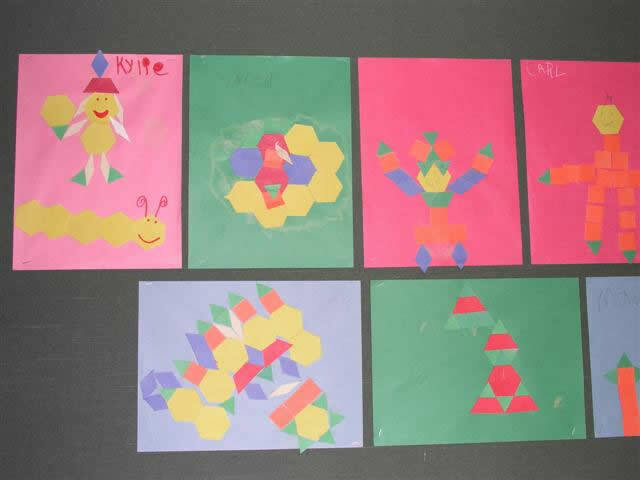 I had a parent volunteer help me cut the shapes out of various colors of construction paper and tag board. 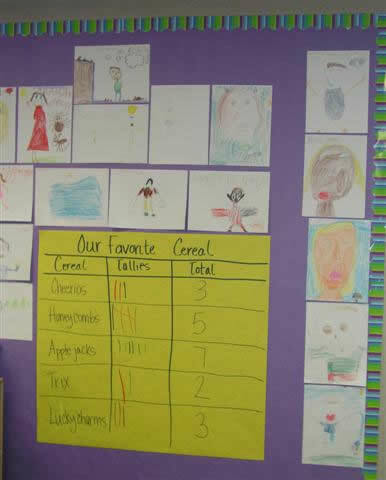 (We did this activity close to Halloween, so some of our shapes were related to Halloween and/or Fall. We also used basic shapes like hearts, footprints, and crayons.) For the actual bookmark, we cut strips from white tag board. During the activity, the 4th graders helped their younger book buddies with making sure they were spelling the words correctly and getting the shapes glued on. The opportunities with this project are endless! This activity is great to use at the beginning of the school year. It allows your Book Buddies to get to know each other. You and the other teacher will want to create a set of interview questions. The younger students then ask the older students the questions. 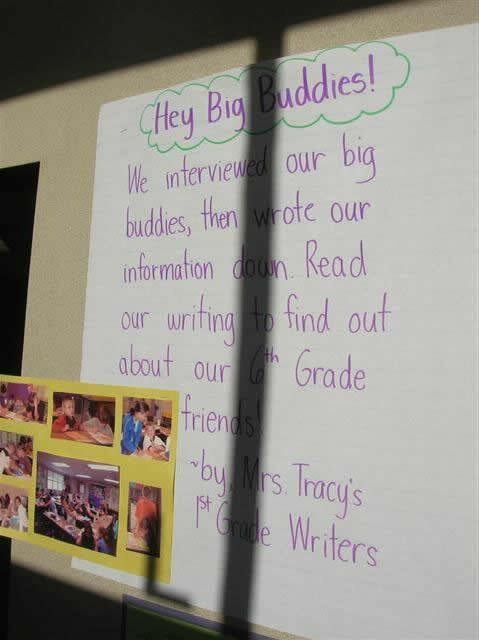 Using a pre-typed page, the younger students write in what the older buddies say. You can then have the pair pose together for a picture. Print the picture and mount it, along with the interview, on a large piece of construction paper. Place the display in an area where both classes will see it. You may also want to include various photos of your buddies together reading. This is a fun activity to help students learn each other's names and practice patterning skills. 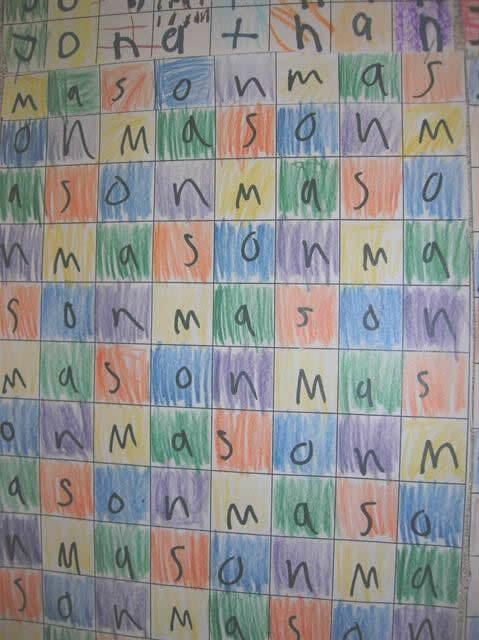 All you need for this activity is a copy of one-inch grid paper - use construction paper or tag board for durability. Students use a black marker to write their name on the paper. They will place one letter in each box. When they reach the last letter of their name, the next box will contain the first letter. They repeat this same pattern. Finally, students cut off the white margin around their grid. 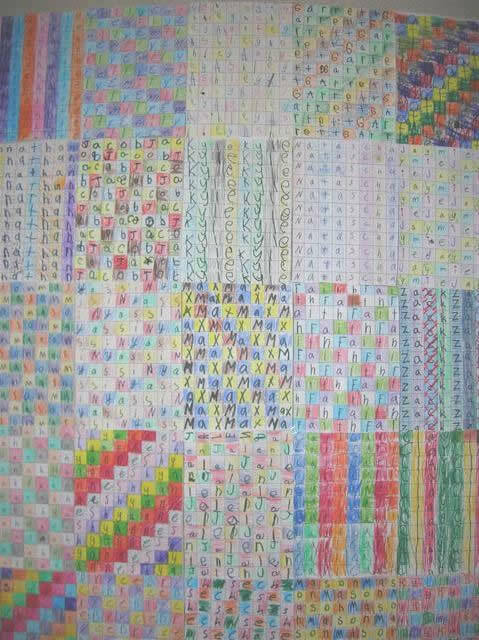 You can hang the papers in one large display.